Does it ever feel like nature is out to get you? Trees can start pollinating as early as January, depending on where you live in the country, followed by grasses extending from spring through summer. And just as those begin dying down, weeds take the baton, making you miserable in fall. But before you write off all growing things, it’s important to realize that only some of them cause allergies. For example, out of 50,000 species of trees, only about 100 of them release pollens that stir up allergic reactions. Grasses and weeds are similar, with only a small fraction of the different varieties causing allergies. The vast majority of growing things don’t cause mankind to experience any allergy symptoms at all. It’s just that problematic subset that afflicts us. Weeds: Ragweed is the king, not just of weeds but of all pollens. With one plant sending out a billion pollen granules per season, little wonder that ragweed is responsible for more hay fever than any other type of pollen. Pigweed/tumbleweed are also major allergy-makers. Pollens from ragweed and pigweed spread all across the country. Few areas are immune from their effects. Trees: Maple, elm, and oak trees stir up allergy symptoms across the country in spring. Mountain cedar accounts for an enormous amount of misery in the south-central part of the country (including Arkansas, Oklahoma, and Texas) and can start pollinating as early as December. Pecan wreaks havoc in the southeastern part of the United States with Arizona cypress stirring up symptoms in the Southwest. Grass: Ryegrass is the worst of the grasses, with Bermuda, Johnson, Kentucky, and Timothy not far behind. Temperature, of course, affects pollination. A hot summer or cold winter will usually put a damper on the pollens. Winds can make allergies worse, but rain and high humidity can put a damper on pollens so that you don’t feel their effects quite as much. That is why a rainy day in the middle of pollen season can be a godsend. One way to steer clear of allergies from these insidious pollens is to avoid them. Many websites share information about pollen counts in your area and indicate when pollens will be at their worst. You can avoid going outdoors during these times. You can install HEPA filters in your home, wear a filter mask outside, and wash your hair at night to eliminate accumulated pollens. 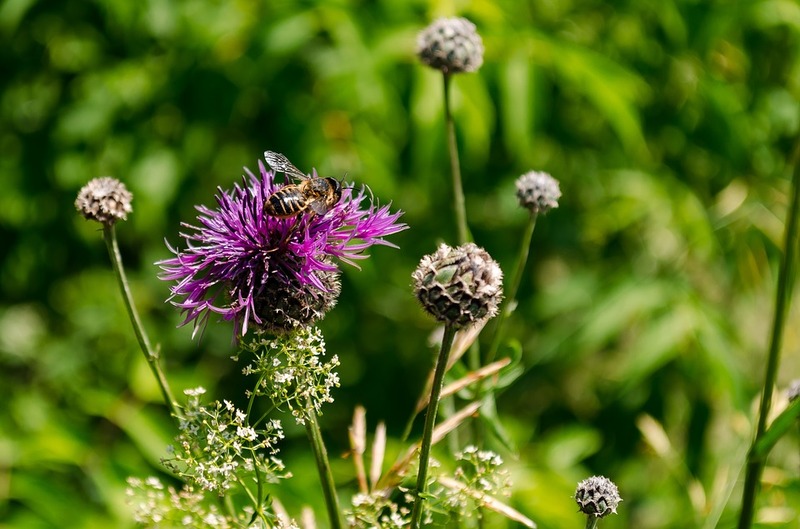 Avoidance can mitigate the effects of pollen, but if you continue to suffer in spite of your best efforts to avoid allergens in the environment, consider talking to your doctor about allergy immunotherapy. Your doctor can prescribe sublingual immunotherapy (allergy drops) or subcutaneous immunotherapy (allergy shots). This provides a natural allergy treatment that can help desensitize your body to the allergens in the environment so that you can stop reacting to them once and for all. It is free of the side effects of synthetic medications and provides a long-term solution for irritating allergies.